B2C Jewels, established on the unique idea of making online purchase of jewelry easier, has grown to become one of the largest and most respected online jewelry stores. It is backed by a family which has been in the diamond industry as renowned manufacturer and wholesaler for over 40 years. With an extensively vast range to select from and a strong infrastructure backing, you are sure to find your perfect jewelry piece. The core goal of B2C Jewels is ‘Utmost Customer Satisfaction’. Our team of qualified and dedicated personnel is continuously working towards the fulfillment of this goal. We aim to beautify you and adorn your memorable celebrations with the best of quality, value and service. Our sole objective is to make your shopping a pleasant and worthy experience. 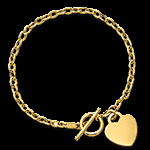 Jewelry at B2C Jewels comes with an attractive saving. It is almost 25%-50% less than the retail price. It is conveniently delivered at the location of your choice, exempted from shipment charges, consequently favoring cost benefits. ‘Quality’ at B2C Jewels is of supreme importance. Every piece of jewelry that we make and sell is strictly supervised at each stage, right from the time it is crafted to the time it is shipped. Hence, we provide you with the best quality certified diamonds. With the help of our advanced jeweler inventory and a large dealer network we offer an exceptional range of stylish and elegant jewelry, designed by the finest designers. 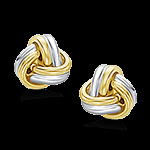 Quality is never compromised at B2C Jewels. As a proud supporter of the Kimberly process, B2C Jewels makes sure that every diamond is bought from established dealers in the industry to ensure that the diamonds come from a source free of conflict. 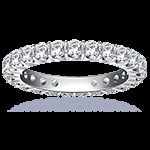 Also, diamonds at B2C Jewels are certified by independent, respected Gem Labs such as GIA, AGS, IGI, etc. to mark their credibility. 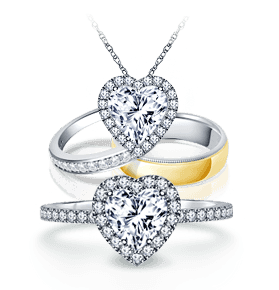 We understand the importance of closely examining the jewelry piece so that you can be sure that you have purchased the correct piece. 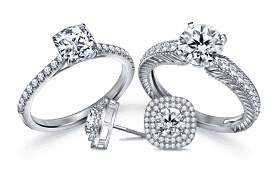 Therefore, all jewelry and loose diamonds at B2C Jewels are guaranteed and returnable within 30-days from the day you receive it. Customer privacy and security holds top most priority at B2C Jewels. So our site is tested and certified daily to pass the HACKER SAFE Security Scan, in order to ensure that the information provided by you is in a safe and secure environment. 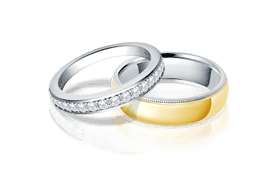 Be it your ideal engagement ring or wedding band or a special gift, we take pride in being part of your celebration. We are highly pleased to add our bit to the happiness of your special and precious moment. Convenience of shopping combined with high prioritized customer privacy and security makes B2C Jewels a trusted and reliable destination for jewelry purchase. Celebrate Moments with B2C Jewels. To know more about extended service plan click here or call us on our toll-free number 1-866-522-2539. 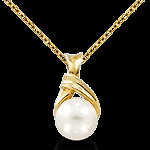 Celebrate your special moments with the ever-lasting beauty of jewelry.